The Diva challenged us this week with a Duo-Tangle. 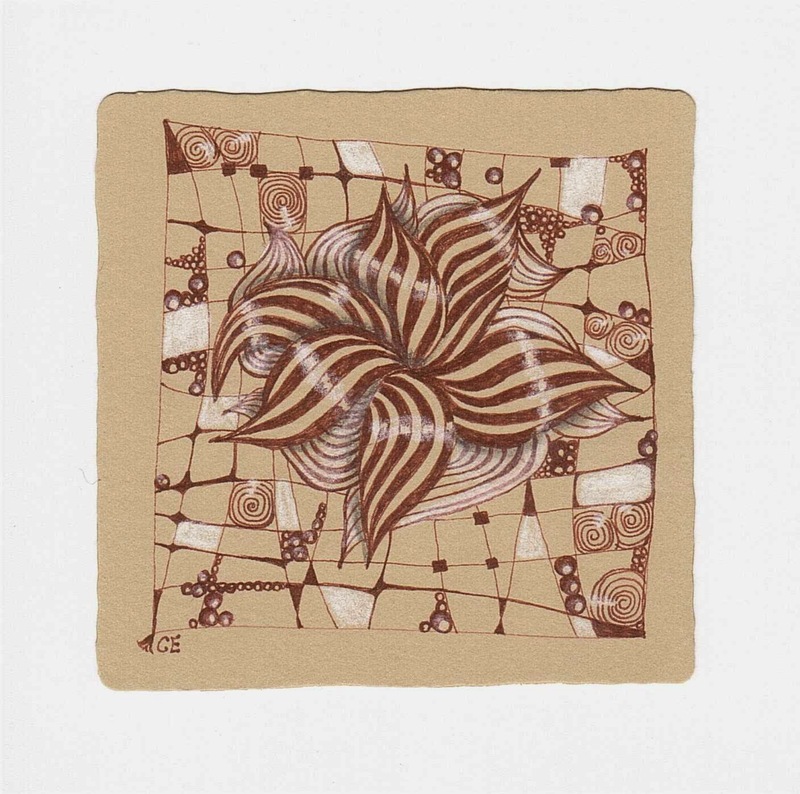 We had to use the tangles Copada and Chebucto by Mararet Bremner. I didn't coped well with the tangle Chebucto. There was more than one try I needed to get it drawn properly. It looks easy but it isn't. I wasn't quite happy with the tile before I shaded it. But with a good shading you can do a lot of good to a tile. So have a look and give me your opinion. 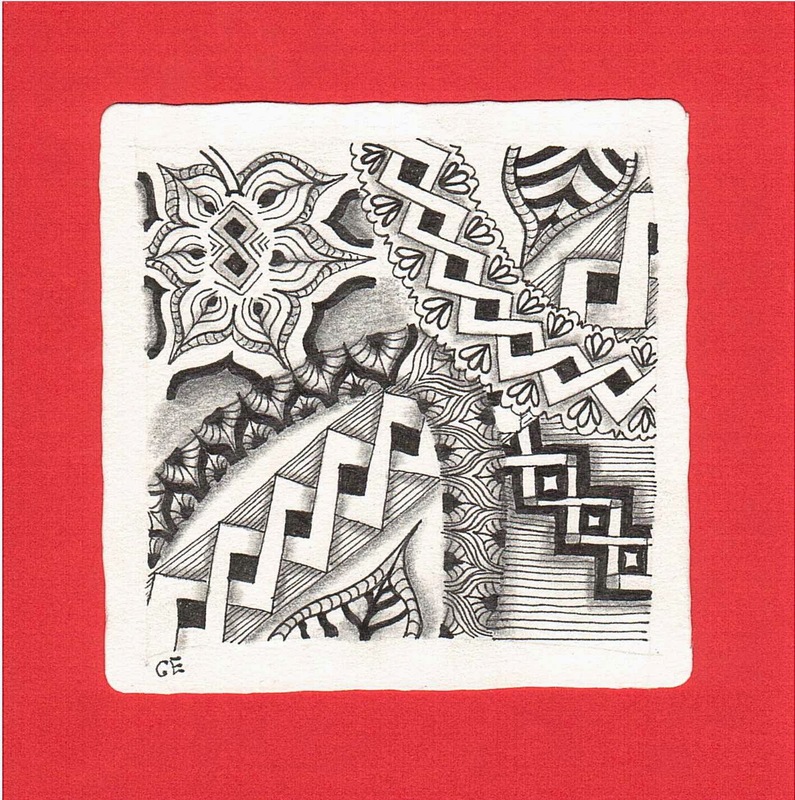 This tile is inspired by the recent zentangle newsletter about the tangle Enyshou. I'm not sure if I have drawn it properly because there are no official step-outs of it. Wunderschön! Deine Variationen beiden Muster sind wunderbar. Besonders die Blüte oben links ist so zauberhaft ... sehr schöne Idee. Was das Schattieren angeht, kann ich dir nur zustimmen! Es ist neben dem Zeichnen ein ganz wichtiges Element. Bei mir dauert das Schattieren oft genauso lange wie das Zeichnen der Muster. Aber es lohnt sich, nicht wahr! Your shading definitely makes your Diva challenge tile pop! I'm still trying to learn effective shading. I also really like the second tile you shared. I'm not familiar with the main tangle you used, but I'd like to add it to my repertoire. Love both of your Tiles. Your Diva Challenge Tile is awesome. Love the many deviations and the movement in your design. Love the "Flower" in the upper left corner. Beautiful shading. Both tiles are beautifully done!